This is one of my favorite things ever, when Dads do their little girls’ hair. 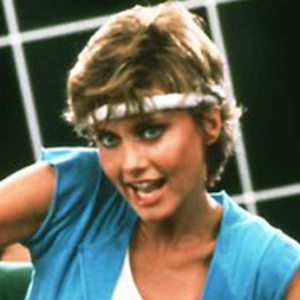 I see a little girl with an elastic headband wrapped around her forehead like Olivia Newton-John getting physical and I know. I know Dad did it. And pigtails, forget about it, Dads don’t even try them. They go for straight for a single ponytail that shoots out of the back of that poor little princess’ head like the firing end of a rocket engine. You know what I’m talking about. You’ve seen it. In addition to the aforementioned headbands and ponytails, there will often be some unfortunate attempt to hold any escapee hair away from the face. If you are an observer like me, you will recognize that this is usually achieved by one, and only one, hair clip awkwardly placed. I’m not judging. I love Dads. I love Dads who do little girls’ hairs. I love seeing little girls whose Dads did their hairs. Yet here is where it gets weird; I firmly believe that Dads are wholly capable of creating a decent hairstyle on their daughters. I think they purposefully choose not to. Uh, yeah, my daughter wore a hate when it was daddy daughter days. She told me many times that I don’t do hair as good as mommy so, there’s that. That should be a class maybe instead of breathing classes during pregnancy. Men can learn hair and women can learn about boy penises and what to expect. A fine point. Carry on! No, they can’t. But they could probably make sure the teams on their ball caps and t-shirts don’t conflict. I’m sensing there is a whole realm of small business opportunities here… Yet, if we all knew it all, life would be so much less amusing. I’m not a dad, but I am a man, and I can say that we don’t have the patience to. Just like we don’t have the patient to wrap gifts well. Thank you. No one has ever shared with me any problems that they’ve had with my site. I’ve never noticed myself. I try to keep it really simple and clean. And I think that helps. And contrast that dad with the dad who says, “he pays the bills’. Or watch on Intervention where parents are missing from the child’s life. The movie that I referenced in my own blog had me crying. As bad as some people are their children still love them. All these arm-chair parents/amoralists would deny that intervention that could save a child’s life from some sort of wicked perdition. So very true. Children have such a capacity to love and it makes them all the more vulnerable. They do need protectors – from inside the family or out.